Home Photos Snowmaking Underway Across the High Country! Wow, this image gets me pretty pumped up. 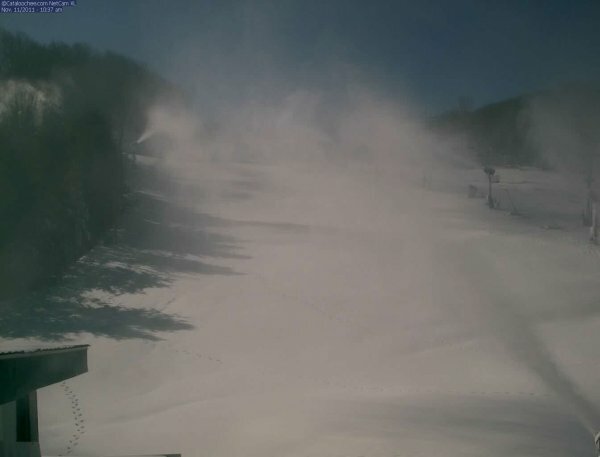 This is from the web camera at Cataloochee this morning and as you can see, snowmaking began yesterday and it looks like Cat has already laid down a pretty good base. Sugar Mountain joined in on the action as well and both are hoping to open tomorrow morning! Previous Post Snowmaking Underway Across the High Country! Next Post Now This is What I Like to See When I Wake Up!